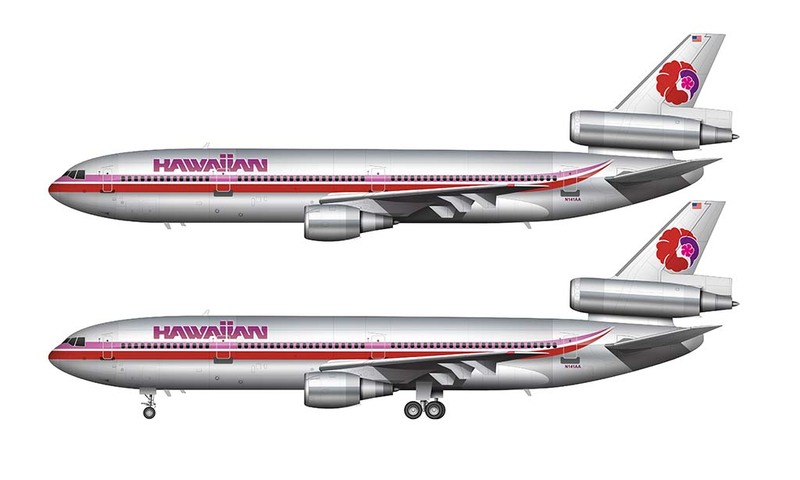 It just occurred to me as I was going through my archives that I have a lot of airliner illustrations that I’ve created over the years which I never got around to uploading. Although I don’t create these side profile illustrations for the sole purpose of uploading to this blog, I do like to post as many as I can – after all, they don’t serve any purpose stashed away in my archives where nobody but me can see them. 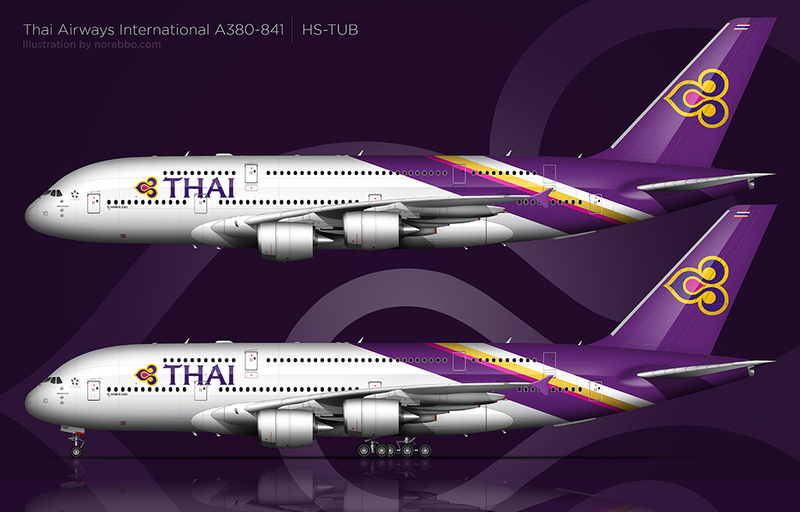 This Thai Airways A380-800 is one of those “lost” illustrations. 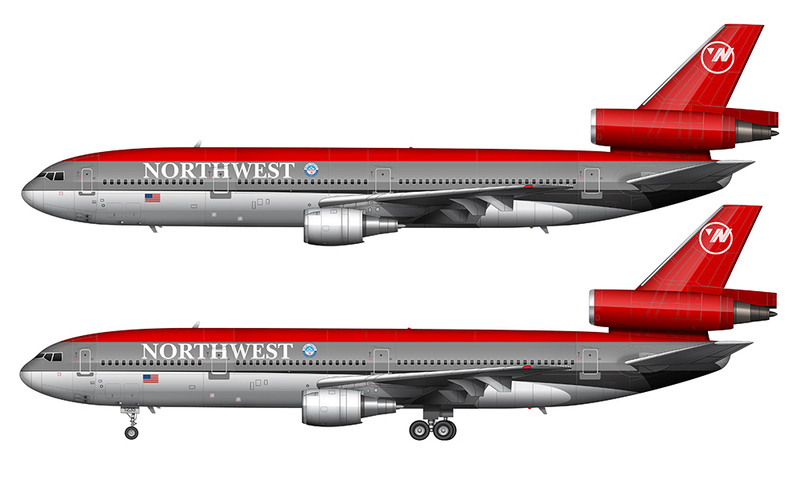 I created it shortly after I finished my A380-800 side view templates about two years ago, and being a new livery at the time, I remember thinking how striking this livery is on that big whale of an airplane. I’m especially anxious to apply it to the 787-8, but my to do list is long enough already, and there are a lot of other illustrations that need to be done ahead of that one. Of all the airlines that fly the A380 today, I think that the Thai Airways version is the best looking of them all. The Lufthansa and British Airways illustrations I created just don’t seem to have that visual “pop” that I like, and I’m pretty sure the reason for liking this Thai version so much is that is that half of the airplane is painted bright purple. Combined with the gold accents in the logo, it’s a rather stunning combination – especially when viewed in bright sunlight. I can’t say the same for the more reserved (eh…stiff) liveries from LH and BA. Anyway, I’ll be uploading more airliner art from my archives in the coming weeks. Some of those pieces aren’t as polished as my latest stuff, but it’s probably worth posting just so I can get my entire collection organized here on the blog.